These words are personal, they are the very words that brought you to our website. Like you, we know that the most valuable people in our lives deserve special attention and may need dedicated care. Trying to provide all of this by yourself is not easy. It may even be unsafe. It certainly can be rewarding and fulfilling, but it can also be overwhelming and consuming. Most of us are already juggling a career, kids and our own home. At SYNERGY HomeCare we understand how challenging this time is for you, and we will be right by your side every step of the way. At SYNERGY HomeCare of Rockville Maryland, we are experts in working with you to customize a care plan that meets your needs. Once we establish a care plan, you can expect thorough communication with your family and extended care providers. Our care team's job is to make sure we are all on the same page, and that we exceed your expectations. SYNERGY HomeCare's expert care team can be relied upon to be at their assigned shifts as scheduled. SYNERGY HomeCare utilizes a telephony system ensuring we know when our caregiver arrives and leaves a client's home. If for any reason a caregiver does not clock in within ten minutes of their assigned shift, alerts are sent, and office staff can immediately identify the problem and arrange for back-up if needed. SYNERGY HomeCare will be there when needed, every time. SYNERGY HomeCare will not turn down a Discharge Planner referral to do an assessment. We will be on site in a timely manner to determine how we can help! SYNERGY HomeCare's caregivers are stringently screened; over and above MD state requirements. All of our caregivers pass a background screening and are bonded and insured. The caregivers must also complete multiple levels of orientation/training prior to providing services to any client. Additionally, SYNERGY HomeCare requires ongoing training through our e-learning systems. SYNERGY HomeCare does not utilize independent contractors to provide care. We are committed to reducing the risk and liability to our clients by assuming responsibility for workers compensation, payroll taxes, and general liability. At SYNERGY HomeCare, we choose to hire the caregivers and compensate them competitively. We utilize a well thought out retention plan to ensure retaining the best of the best. SYNERGY HomeCare strives to create matches that result in trusted relationships. SYNERGY HomeCare meets with every prospective client and family to get to know them and their requirements. Although SYNERGY HomeCare provides services to the elderly population, we also provide care for those patients recovering from surgery, illness, and injury. We have locations throughout the US with 15 years of experience. With the SYNERGY HomeCare network comes a collective knowledge and understanding shared by others who are committed to providing the highest quality of care. SYNERGY HomeCare can create a package suitable to most any one's budget. We have clients who use our services from 4 hours a week to 24/7; our average client uses our services approximately 15 hours a week. We have found our costs for quality in-home care to be significantly less than the options of Assisted Living and Nursing Homes thus allowing the client to remain safely in the comfort and privacy of their own home. SYNERGY HomeCare's scheduling system allows us to record a client's desires and caregiver wants and traits. We are then able to identify potential issues ensuring client and caregiver matches result in the best possible match. If you're ready to talk to our home care professionals we're ready to listen! Call SYNERGY HomeCare today to schedule a FREE in-home care assessment. There is no obligation and services can start right away once we've created your customized care plan. That's right, we'll create a care plan customized to fit the needs of you and your loved ones. Call us today! At SYNERGY HomeCare of Rockville, MD we pride ourselves on great service and we would love to hear your feedback. it's what keeps us doing our best to serve our community. SYNERGY HomeCare is proud to serve our neighbors in Rockville, MD and surrounding areas. Contact us today to learn more about how SYNERGY HomeCare can make daily activities and recovery easier for you and your loved ones. Scheduling a care assessment in your own home is FREE and services can begin right away. We provide the best quality of services to our clients to unsure their utmost comfort and assistance to their daily life. Activities such as dusting, straightening, vacuuming, sweeping, washing dishes, cleaning the bathroom and kitchen, and doing laundry may be included. Client's care plan will specify any special nutritional needs of those who are on special diets or need improved patterns of eating. We provide timely medication reminders for our clients. A reminder form will be completed at the start of service visit. We provide transportation to doctor's appointments, shopping, and to other necessary places requested by our clients. We provide planned or emergency temporary care to caregivers of a child or adult. "Very professional, responsive, reliable and provided great care to our family. Definitely recommend!" "We recently recommended SYNERGY HomeCare to a close friend who needed immediate in-home care and they have been outstanding. Their team has been polite, professional and most importantly went above and beyond to care for an unplanned and unexpected patient. I recommend Ross and his team to any individual, young or old, that may need in-home care." "SYNERGY HomeCare in Rockville is by far the most reliable service in home care service I have ever experienced. I highly recommend to anyone looking for help!" "As a Social Worker I have worked with many, many HomeCare agencies yet, none has compared to SYNERGY HomeCare in my years of experience. Ross, the owner cares for each client as he does his family. Each staff and caregiver provide excellent care to each individual. what I truly appreciate is the individualized care and this company going above and beyond to find the right fit for each client. SYNERGY HomeCare has earned my trust by being so responsive, efficient, dependable and trustworthy. Synergy has never failed any of my clients. I would recommenced their services over and over again." "SYNERGY HomeCare’s number one priority is the health and well being of their clients. They accomplish this through the compassionate care provided by top level caregivers, hand selected by healthcare professionals. The owner and his staff are dedicated to providing the best care for families and are always available to meet the needs of their clients. I would choose this company to care for my loved ones." You visited your parents last weekend and noticed lots of changes. Mom can't keep up with the house and dad forgets to take his medicine. After a weekend of running errands you're overwhelmed, the effects of aging on your parents can no longer be ignored. What Do We Do at SYNERGY HomeCare? 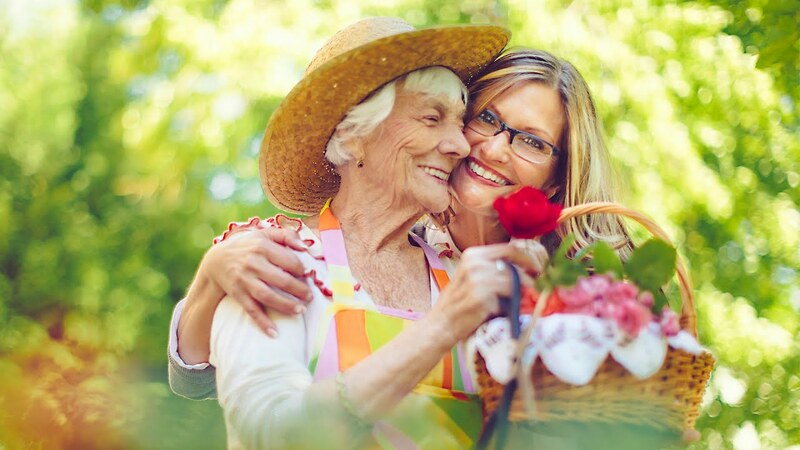 Our goal at SYNERGY HomeCare is to provide the best possible care for you and your loved ones. We make the day better. Love. Family. Home. These words are personal. They are the very words that are driving your search for trustworthy home care. You came to our page hoping to keep a nurturing, safe environment for a loved one, wherever home is for him/her now. We are here to help you and we consider it an incredible privilege to do so. We only provide the most qualified caregivers who are empathetic, skilled, and flexible to serve our clients. Caregivers go through intense orientation and assessment to ensure that they are fully equipped to assist our clients. Here are some of the awards we've received simply by caring for our community.